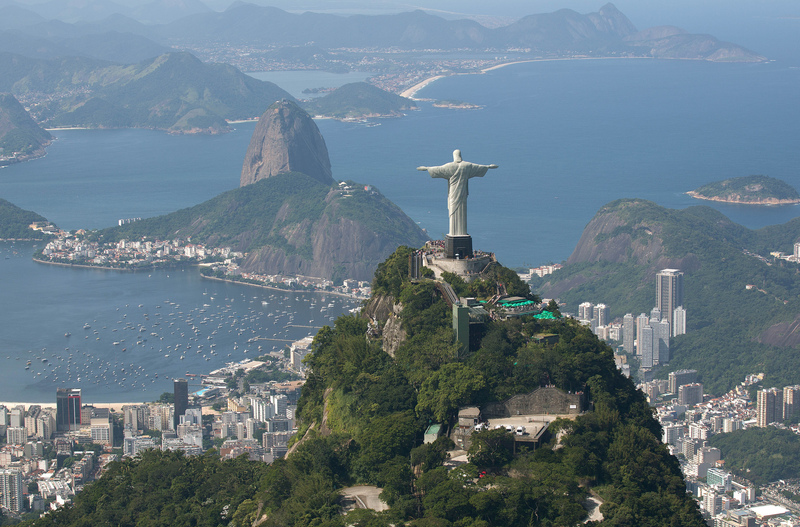 Rio de Janeiro has many outstanding landmark, but it it is fair to say that two of them – Corcovado and Sugar Loaf – are just a little bit more famous and sought after than all the others. 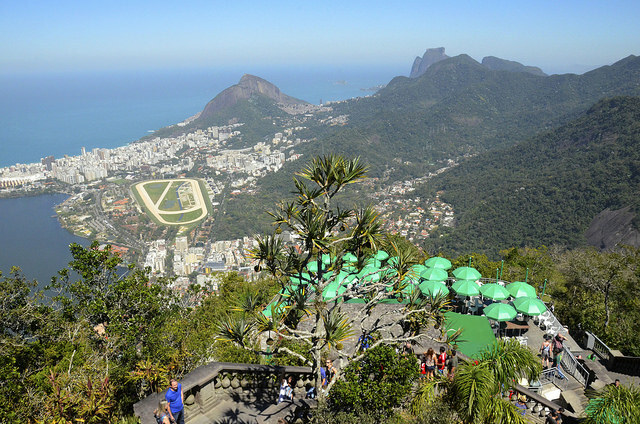 Both offer spectacular but very different views of Rio de Janeiro and each has its own distinct atmosphere and flavour. Strangely, though, neither can be said to hold pride of place in the Carioca heart, coming a poor second to the beaches (and arguably the shopping centers and the Maracanã Stadium), but in our opinion the residents of Rio take these two natural wonders and world famous landmarks just a little too much for granted at times. In terms of size Sugar Loaf tops out at 395 meters (1300 feet), while Corcovado is nearly double its size, topping out at 706 meters (2316 feet), when last measured. 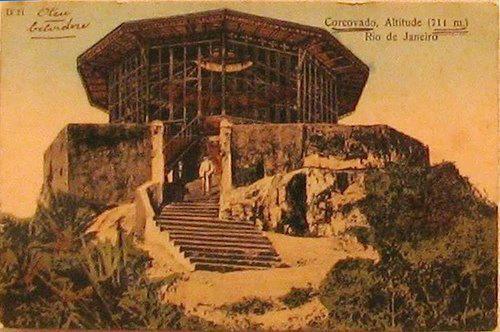 Gray Bell, in his book The Beautiful Rio de Janeiro, published in London in 1914, considered: “To go to Rio de Janeiro and not go up Corcovado is a folly”. Today it would be sheer stupidity. One of the first people to reach the peak of Corcovado was no less a personage than Dom Pedro I accompanied by his Empress Leopoldina. At the time you reached the summit on a dirt road that cut across the hills from Alto da Boa Vista. On January 7, 1882, Brazil’s second Emperor, Dom Pedro II, gave permission to two engineers, Francisco Passos and João Teixeira Soares, to build a railroad to the peak so that all of Rio could enjoy the magnificent view. 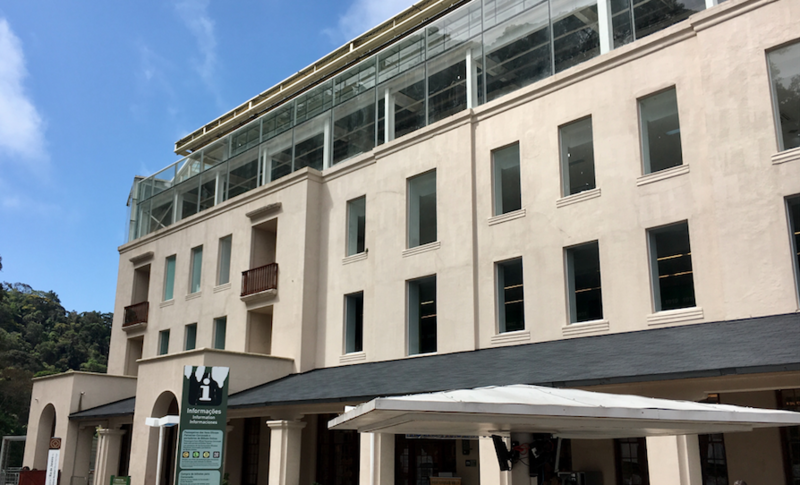 By 1884, the new train line was inaugurated as far as the stop by the old Paineiras Hotel, now home to the excellent Paineiras Visitor Centre. One year later, in 1885, the train reached all the way to Corcovado, 2180 feet (664 meters) above sea level, 136 feet (41 meters) below the summit. 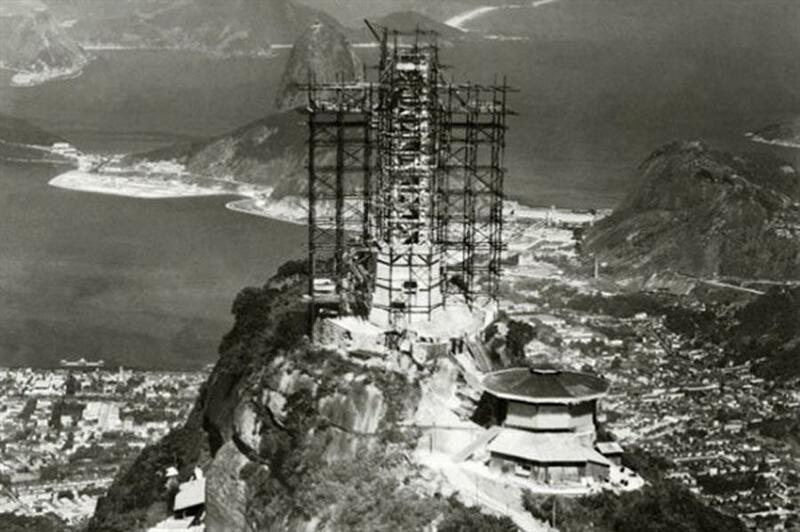 According to Bell, you would have found at the summit a small open pavilion known as Corcovado’s Cap plus a stone balcony that had been built to overlook the southern face, a sheer drop of 1000 feet (305 meters). In Bell’s time the train took 45 minutes from Cosme Velho to the summit of Corcovado. In case you were wondering, Corcovado is the name of the actual mountain and not the statue of Christ, a fact that many visitors to Rio confuse. 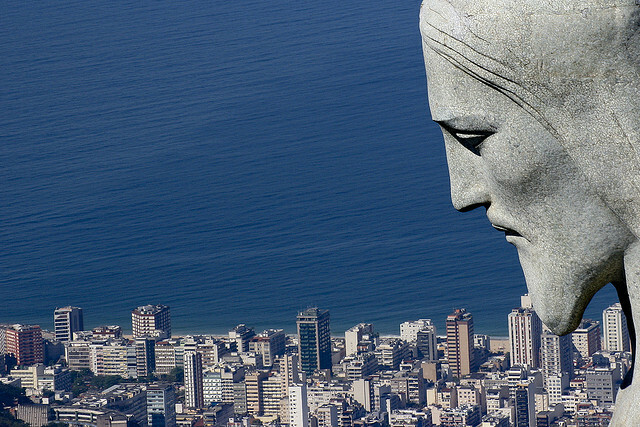 The name of Corcovado (corcova) means hunchback and describes the physical appearance of the mountain. The idea of the Statue of Christ first came to light in 1921 when the country was celebrating the 100th Anniversary of its independence. A popular magazine of the day suggested that a competition be run to choose a national monument. 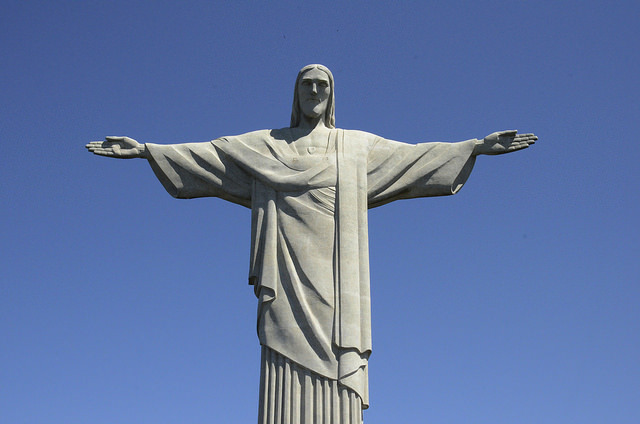 Heitor da Silva Costa who proposed a giant statue of Christ with his arm outstretched to “embrace the city” won the competition. 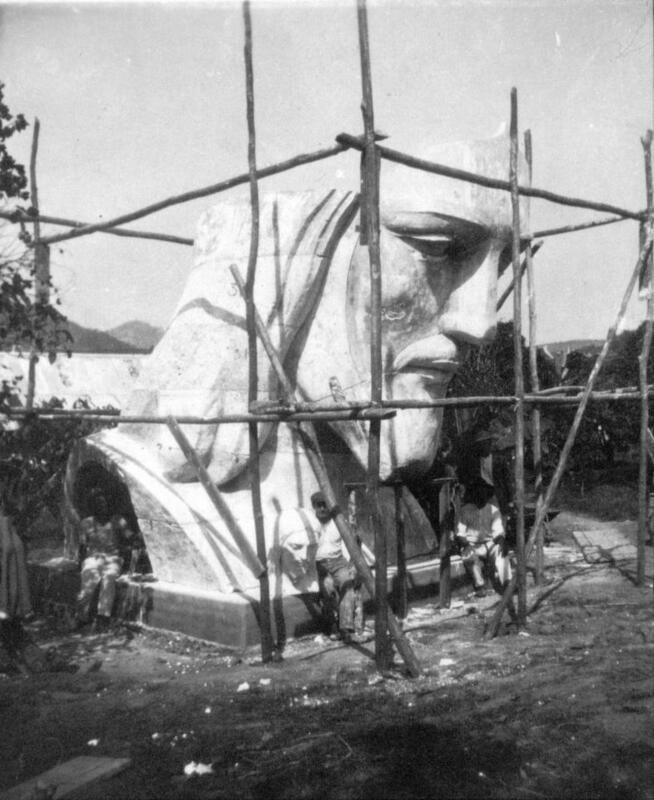 The idea was greeted with unanimous enthusiasm, unlike an earlier project, in 1888, to put a huge statue of Christopher Columbus on top of Sugar Loaf. Money for the new project was raised privately in collections taken in churches throughout Brazil. Work on the statue began in Paris where engineers, lead by da Silva Costa, designers and sculptors met to decide how to tackle the problems of mounting a statue that could last on a wind swept peak open to the elements, 706 meters (2300 feet) above sea level. While the body and arms of the statue were left to the architects and engineers, French sculptor Paul Landowski started work on the head and hands of Christ. The head at the end would stand 3.75 meters (12 feet) high and weigh nearly 35 tons while each hand would weigh nine tons and make up the measurement of 30 meters (90 feet) from fingertip to fingertip. 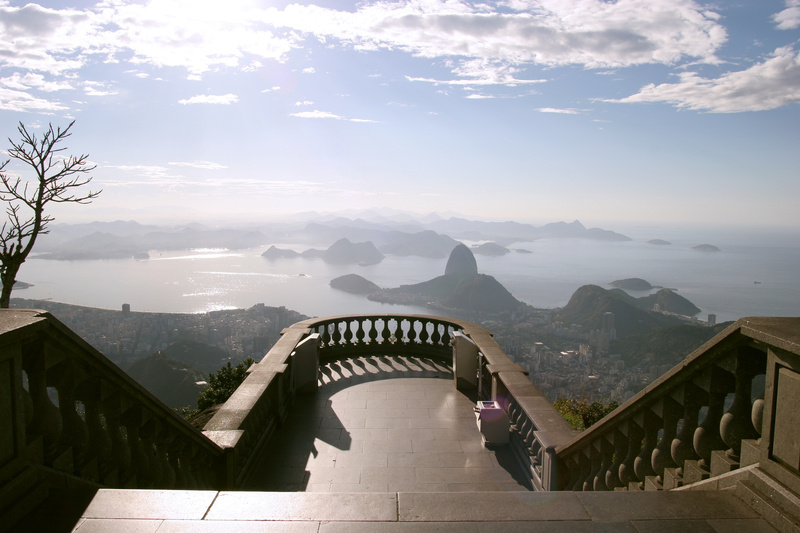 The sculpture was brought to Rio de Janeiro from Paris and faced in soapstone before being hauled up the mountain to be attached to the supporting pillars. Guglielmo Marconi who threw the switch that lit the statue, officially inaugurated the monument on October 12, 1931. Marconi was not in Rio de Janeiro, but aboard his yacht in Genoa harbor. In 1965 Pope Paul VI inaugurated a new lighting system in much the same manner from the Vatican and, on October 12, 1981, Pope John Paul II repeated the act to mark the 50th Anniversary of South America’s most famous landmark, a landmark that was given a complete facelift in 1991. In 2003 a new escalator and lift was inaugurated to help visitors, including the Pope, get from the station up to the statue without having to use the stairs. From the balcony in front of the 30 meter (98 foot) statue, which stands on a 8 meter (26 foot) pedestal that houses a small chapel, you have a comprehensive view of the city. To Christ’s left the panorama sweeps from the Maracanã stadium, once the largest stadium in the world, and the zona norte behind, around to the International Airport on Ilha do Governador and the full dimension of the bay with the Serra dos Orgãos mountain range in the far distance, home to Petrópolis and Teresópolis. In front of Christ, and to the left, the city center looks like Toy Town. The visitor can appreciate from Corcovado the full sweep of the bay and how the beaches link to one another. From Corcovado, Rio is no longer a confusion of roads. Sugar Loaf sits almost directly in front of Corcovado and behind it, the open sea. It has been calculated that Christ looks out across the South Atlantic to the Namibian coast. To the right, Copacabana and Ipanema, and below right, the Lagoa, Jockey Club, Botanical Gardens, and through to São Conrado. The view is beyond description and words, even photographs are not enough. In this case, seeing is believing. In October 2017 the summit was the site of the high profile wedding of manager Guy Oseary and his Brazilian partner Michelle Alves. Guests included Madonna. U2, Noel Gallagher, Matthew McConaughey, David Arquette, Demi Moore, Aston Kutcher, Flea and Antony Kiedis of the Red Hot Chilli Peppers, Chris Rock, P Diddy, Sacha Baron Cohen, Owen Wilson, Dakota Johnson, Heather Parry, and many others. Getting to the summit of Corcovado is not as difficult as you may imagine, and got even easier in 2016. It can be reached by either an organized tour, by car/taxi, by van, by train or a combination. The train service is an easy and interesting way for a visitor to reach Corcovado for the first time, or on any subsequent occasion for that matter. As are the official vans. 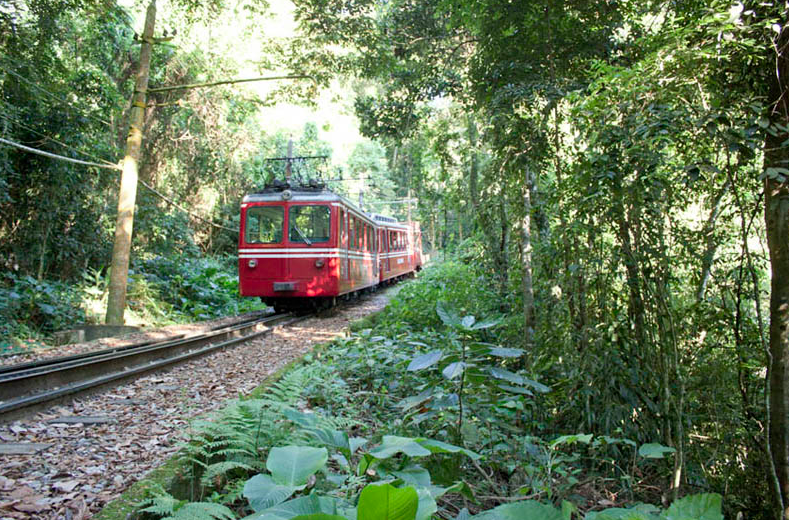 Trains, of Swiss design, make the 3.8 kilometer (2.4 mile) climb through the lush mountain greenery, some of it jungle like, in just 20 minutes and can carry 345 passengers. The trains run every 30 minutes or less from their own station at 513 Rua Cosme Velho from 8 am to 7 pm. 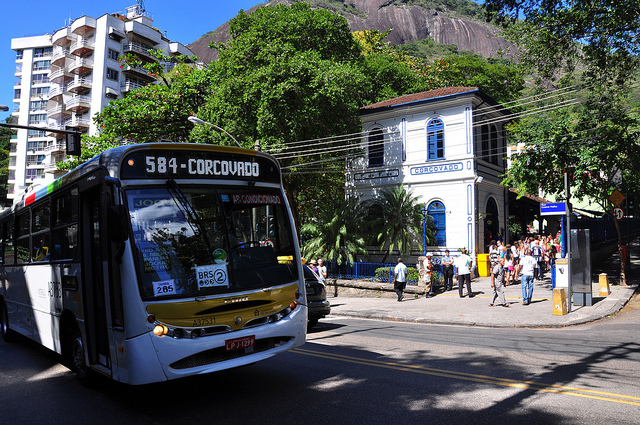 The station is quickly and easily reached by cab from any point in the city or from the beach areas the 583 bus from Copacabana or 570 from Ipanema. Ask for Estação Cosme Velho that is located in the road that runs down from the center of the Rebouças Tunnel to Laranjeiras. 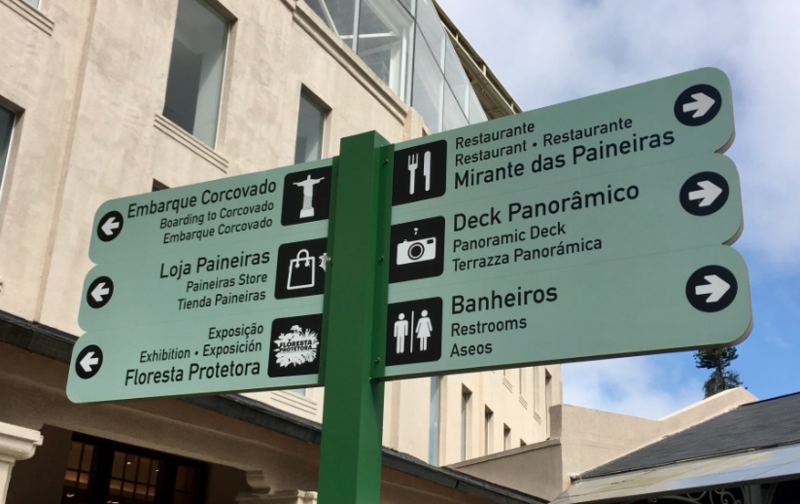 You can also take the metro to Largo do Machado and the metro bus will drop you off in front of the station. If you do have time to kill while waiting for your train, walk up Rua Cosme Velho towards the tunnel. The first road you come to, on the right, is the Largo do Boticário, an extremely pretty and famous square that although colonial in appearance, is not. If you are feeling adventurous, you can take a car up Corcovado and explore. The easiest way to drive to the summit is to go through the Rebouças Tunnel from the Lagoa branching off in the middle, following signs to Corcovado. It is that simple. You won’t be able to take the car to the top – unless you have special permission – but will need to transfer to a van at the Paineiras Visitors Centre. The Paineiras Visitor Centre is well worth a visit on your way to-and-from the summit. It offers restaurants and bars, an excellent souvenir shop, and a series of exhibitions covering not only Corcovado and the statue, but also the Tijuca National Park. It also offers a rest stop and changing facilities for people biking or running through the forest. Height: 706 meters (2316 feet). Tickets can be also bought in advance at ticket offices around the town including in Copacabana, Rio Sul and in Centro. 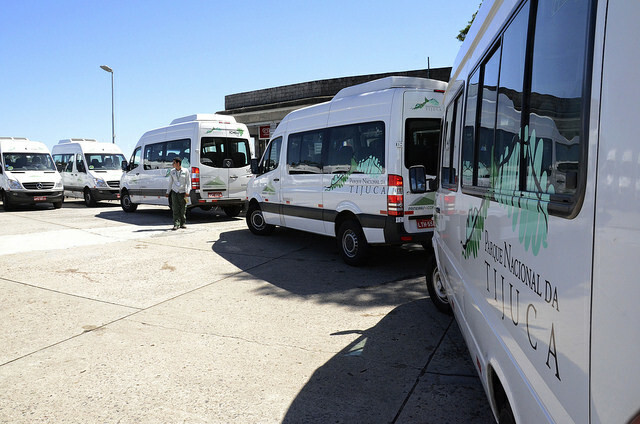 Vans: The vans run from Copacabana, Barra and Largo do Machado from 8 am to 4 pm and can be booked HERE The vans are slightly cheaper than the train, and do include the transfer from Copacbana and Barra. Restaurant and Bars: There are restaurant and bars just below the summit. Nothing special, but fine for a snack. There is a better selection at the Paineiras Visitor Centre.